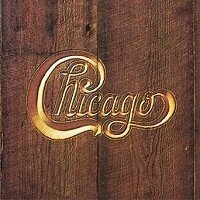 When I was 13 years old, I would play my new Chicago V record (that's an old fashioned version of a CD, kids) over and over. It didn't take long for the impact of the lyrics to "Dialogue" Part I and Part II to sink in. Written as a back-and-forth conversation between two people--one worried and one clueless--the song reflects outlooks and attitudes prevalent in the late Vietnam War era. That is, no business at all. I also hope to keep a steady high. And this need for things to change? I always thought that everything was fine. They haven't got the time. You really eased my mind. I was troubled by the shape of things to come.